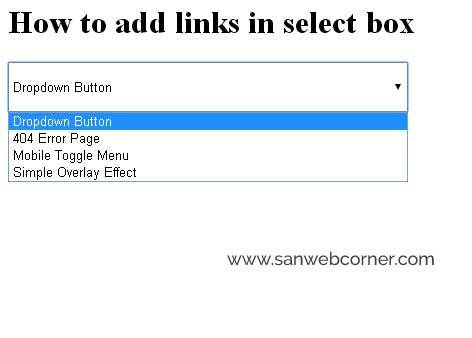 The below example shows how to set the links to the select box options text. Just put the onchange="location = this.value;" put this code into select tag and give the links in to the value section. The below image show how the textbox looks like. check the below demo page how it works.